brought together back in 1939. It was located within North Hollywood which is part of the San Fernando Valley. But again, Valley Village did consider itself its own community even tho it was officially part of North Hollywood. One of the key differences that separated Valley Village from North Hollywood was that Valley Village was considered a more upscaled area with parkways, cycling paths, small parks and a recreation center. And that is at the heart of why Valley Village community was formed. It was for people striving for a better way of living. An area that was more a community for families and not to be overcrowd with businesses and high rises. It's because of that commitment that in the 1990's, Valley Village was legally recognized as its own community by the Los Angeles City Council. community. In 1993, several building restrictions were ratified. Examples of said restrictions are certain commercial enterprises are prohibited, placement of balconies on apartments buildings are regulated as well as requiring a certain level of landscaping, new commercial buildings can not be higher than 36 feet and homes cannot be higher than 30 feet and more. So as you can see, Valley Village strives to be a low rise community so that the residents aren't overshadowed by large corporations and that it always remains as a community geared towards its residents. 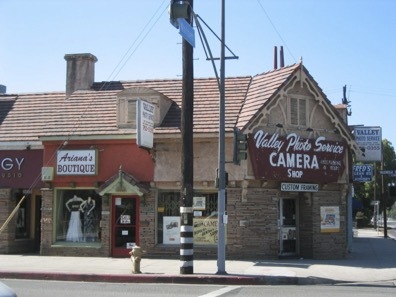 Valley Village is part of a larger region known as the San Fernando Valley which is in Los Angeles, California. Its positioned between Studio City, North Hollywood and Sherman Oaks. It only occupies one zip code which is 91607. Below is an interactive map showing the board of Valley Village. size, there are still different zones for different schools. But not only that, but the schools aren't actually located within Valley Village. They are in neighboring cities. 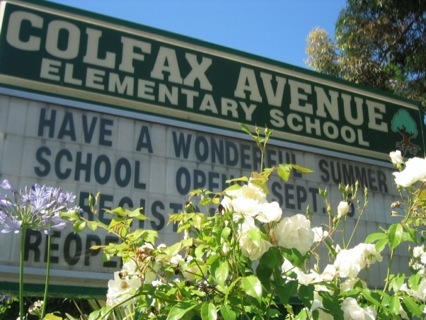 For elementary schools, the zones are divided between Colfax Elementary School and Burbank Elementary School both located in North Hollywood. As well as Riverside Elementary School which actually happens to be in Sherman Oaks. As far as Middle Schools go, Valley Village residents are assigned to either Walter Reed Middle School located in Studio City or Millikan Middle School located in Sherman Oaks. For High School, kids attend one of two school. Most of them attend North Hollywood High School which actually is in Valley Village or Grant High School which is in Valley Glen. The only private school in Valley Village is the High School campus of Oakwood School. There is a large jewish community in Valley Village and because of that, there are a few jewish school located within the area. There is either Yeshivat Yaveneh in Hancock Park, Emeek Hebrew Academy located in Sherman Oaks and Yeshiva University of Los Angeles. The one school located in Valley Village is the Valley Torah High School. 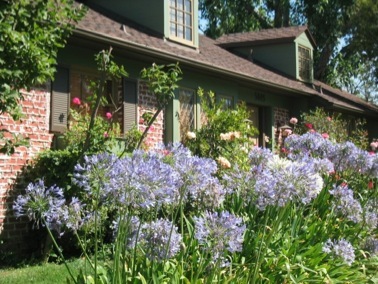 One of the unique traditions in Valley Village is the annual Home Garden Tour. Each year residents open up their private gardens for viewing and winners are announced at the end.